Hands on Media History explores the whole range of hands on media history techniques for the first time, offering both practical guides and general perspectives. It covers both analogue and digital media; film, television, video, gaming, photography and recorded sound. Understanding media means understanding the technologies involved. The hands on history approach can open our minds to new perceptions of how media technologies work and how we work with them. Essays in this collection explore the difficult questions of reconstruction and historical memory, and the issues of equipment degradation and loss. 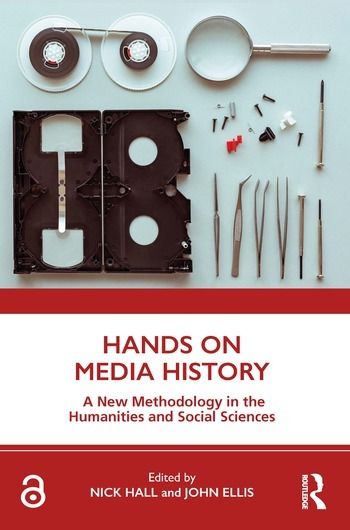 Hands on Media History is concerned with both the professional and the amateur, the producers and the users, providing a new perspective on one of the modern era’s most urgent questions: what is the relationship between people and the technologies they use every day? Engaging and enlightening, this collection is a key reference for students and scholars of media studies, digital humanities, and for those interested in models of museum and research practice. Introduction: What is hands on media history? 2 Bringing the living back to life: what happens when we re-enact the recent past? Nick Hall lectures in film, television and media technologies at Royal Holloway, University of London. His first book, The Zoom: Drama at the Touch of a Lever, was published in 2018. He has also been published in the journals Technology & Culture and the Historical Journal of Film, Radio and Television. John Ellis is Professor at Royal Holloway, University of London. His wrote Visible Fictions (1982), Seeing Things (2000) and Documentary: Witness and Self-Revelation (2012). Between 1982 and 1999 he ran the independent production company Large Door, making documentaries for Channel 4 and BBC.